Massachusetts has some new concussion guidelines. The laws are just now taking effect although they were passed back in 2010. 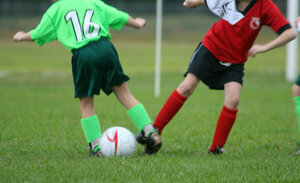 The new guidelines were developed by the Massachusetts Department of Public Health and work to help parents, guardians, coaches and all others who are involved in child athletics to recognize, manage and treat a concussion, according to Common Health. Each and every day we’re hearing more and more alarming news about concussions and mild traumatic brain injuries (TBI). According to a recent study, published in the journal Archives of Pediatrics & Adolescent Medicine, children who suffer from a TBI report an increase in both somatic and cognitive symptoms for as long as a year after the injury was sustained. To add fuel to the fire, a recent article in the New York Times reported on the risks of long-term effect of concussions among recreational athletes and concluded that they are higher in comparison to professional athletes. Our Boston sporting injury lawyers understand that the new guidelines say that an athlete who suffers a concussion have to be taken out of the game or out of practice immediately. You’d think that would be common sense, but the problem is that many athletes may not even be able to recognize their own concussion. You can’t see a concussion like you can a bruise or a cut. Most times, athletes will get a concussion without ever losing their consciousness. So how do you recognize when an athlete has a concussion. -Having a tough time balancing. -Having a tough time concentrating. If you’re watching your child play their sport and you feel that they’re suffering from too many of these symptoms and believe that may have sustained a concussion, let their coach know and take them to be evaluated by a doctor. Under the new law, everyone involved in children’s sport are to be trained in recognizing, managing and preventing these types of injuries. The Centers for Disease Control and Prevention and the Brain Injury Association of Massachusetts have information available on their web sites and downloadable training courses to help. Once it’s determined that a child has a concussion, they’re to sit out for the rest of practice or the rest of the game and have to be cleared by a doctor before they can come back and play. There are also guidelines to follow after the injury. Children are also instructed to sit out on cognitive activities, including school tests, as some of the symptoms can get worse under these circumstances. School officials are to allow reduced school hours and workloads during this time. Students are not recommended to take standardized tests during recovery. They’re also to be allowed with extra time to complete school work. If you or your child has been injured in a sporting accident in Boston or elsewhere in the state, contact Injury Lawyer Jeffrey S. Glassman to schedule a free and confidential appointment to discuss your case. Call 877-617-5333.